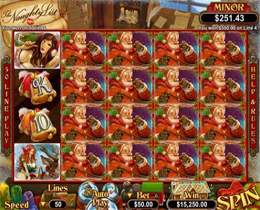 The Naughty List is an online video slot consisting of 5 reels and 50 pay lines and includes impressive progressive jackpots. Santa, The Naughty List, Attractive Women, Reindeer, Snow Covered House and Numberals. Bets range from $0.01 up to $0.25 and players could win the top jackpot of $125 when playing with the maximum bet. Santa is the Wild and appears on reels 2, 3, 4 and 5 which substitutes all other icons except for the Scatter. The Scatter is The Naught List icon and having 3 of them show up anywhere will trigger the bonus game. When three of the Scatter icons show up anywhere on the screen, they will trigger the Santastic Free Spins feature. Players will be able to pick from 20 gifts until the two naught notes are found. Each choise will eotjer award a higher bonus prize or increase the Free Spin prize Multiplier. This feature may be re-triggered. 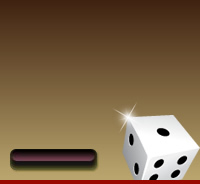 Lucky Trigger is the second bonus game that can be triggered and you will be rewarded with a set of 5 to 10 Free Spins. These Free Spins are playing off a Multiplier which will boost sinning pay outs by up to ten times the normal pay out values.